Hackers use complex code and strategies to break into your server and website, leading to angry customers, lost revenue and a damaged reputation. And the worst part is... you won't even know when it happens... unless you have a website monitoring system. 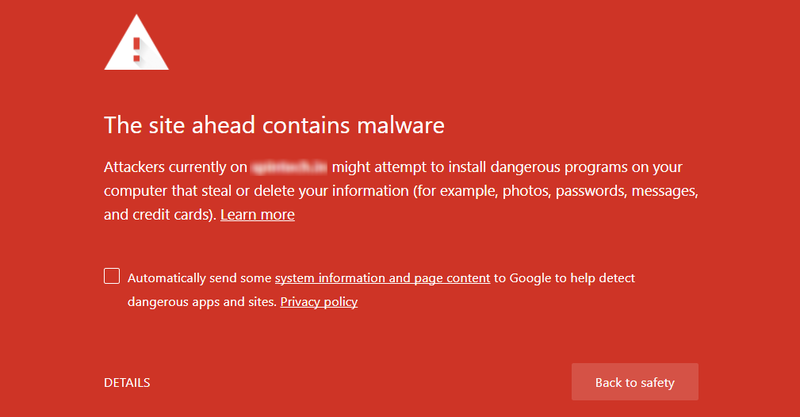 Sample notice displayed by Google Chrome on a hacked website with malware inserted. While SSL certificates protect information passing to & from your website, SiteLock complements this by protecting your website from malicious threats. The service monitors your website 24x7 for attacks & vulnerabilities, identifies the threats, and then fixes them for you automatically! Thats not all... SiteLock also does Blacklist / Reputation monitoring with active monitoring of Search Engine & Spam Blacklists and your existing SSL certificate. 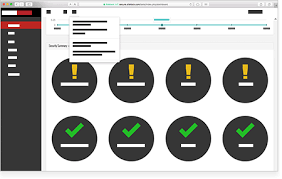 SiteLock also offers a dynamic Trust Seal that displays a PASSED status with the date of the last scan, but ONLY if your website has successfully passed all Scans such as Networks scan, Application scan, SQL Injection scan, and Cross-Site Scripting scan, with more scan options available as per the plan selected. SiteLock protection adds to visitor trust in addition to the HTTPS connection offered by your existing SSL certificate. Visitors are assured that not only is their submitted data protected during transfer to your server through HTTPS, now even their information stored on your server will not be compromised by hackers.